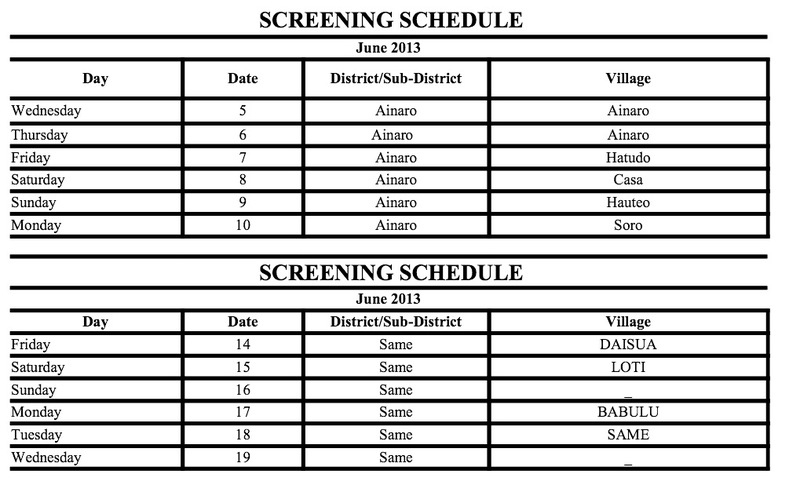 Last week we visited Ainaro, and now we are screening in Same. 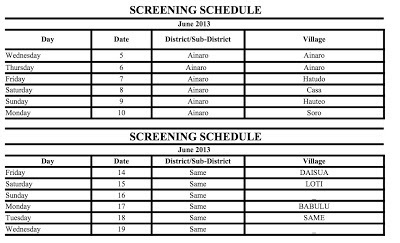 The villages and dates are below. Setting up the screen, the projector sits behind the screen, so the audience just sees the big picture and kids love to sit as close as possible. Happy kids watching the film, and keeping cool with their Timor Telecom fans!